As the temperature drops, it’s important for families to be aware of the risks associated with cooler weather. The use of heaters during winter greatly increases both the risk of carbon monoxide (CO) poisoning and fire in the home. 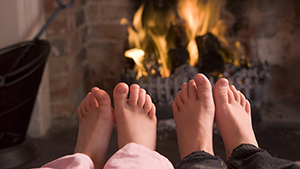 Statistics suggest that 43% of all fire fatalities occur in winter, often due to the misuse of heaters. Quell suggest to prevent fire risks this winter, ensure you have a working smoke alarm, that space heaters meet the latest safety standards, which would include having a cut off device, placing heaters on a hard, stable surface and turning heaters off when you leave an area or before going to bed. 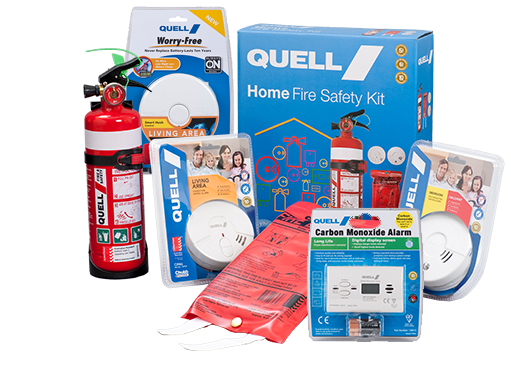 Quell’s research shows that you can double your chance of surviving a home fire with a working smoke alarm present. On average, it takes only 3 minutes for a fire to take hold, which is why having a detection device such as a smoke alarm and a fire escape plan can be life-saving. Heaters also pose a CO risk if they are faulty or are being used incorrectly. Carbon monoxide, often called the ‘silent killer’ is a clear, tasteless and odourless substance that is produced from the incomplete combustion of gas. Quell recommends having your gas appliances checked by a qualified technician and ensuring that at least one CO alarm is present on each level of your home, ideally in or near any room with a fuel burning appliance (such as boiler, gas cooker, fireplace or heater). National Consumer Manager at Quell, David Laundry says that the winter months can be a serious safety hazard if families are unprepared. “The lead up to winter is a great time, not only to check the fire alarms in your home are functioning, but also to research into what other fire safety equipment you may need in your home to protect your family in the best possible way,” Laundry says. Winter is coming: are you fire safety ready? Don’t change batteries every year! Get yourself a 10-year battery smoke alarm.